It’s not often you come across a family business with such a strong and continued success. Adams is just that; 75 years in the field, controlling pests and protecting our environment. 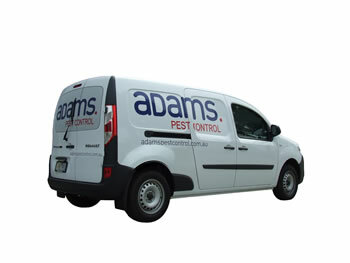 Adams pest control app is live on android & apple! The Adams Pest Control App gives companies a new way to gain a rapid response to pest problems via a free Andoid and Apple app on their mobile device. The App provides users with the ability to quickly & directly communicate any problems to the Adams Team, allowing us to then rapidly respond & resolve submitted requests. With a simple & intuitive interface, users can open the app on their smart phone, enter in their location and attach a photo accordingly. Upon submitting the request an Adams representative will promptly call the user back to arrange a technician to go out and resolve the issue.